Iowa Senate members took a significant step last week to improve Iowa’s lackluster stalking definition, but more should be done to align the law with technological realities. Senate File 468 passed unanimously (49-0) on March 21, and is now before the House Judiciary Committee. The bill updates the definition of criminal stalking by loosening a requirement that victims must personally fear bodily injury or death. If the bill is approved, the definition would include what would cause “what would cause a reasonable person” to feel frightened or terrorized for herself or immediate family members. In addition, electronic surveillance is explicitly noted within the statute as an action that can constitute stalking. 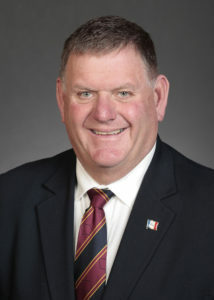 Sen. Kevin Kinney, an Oxford Democrat and retired deputy sheriff with a wealth of experience combating human trafficking and related crimes, introduced the bill. State records show that from February 1995 (when the state first began keeping records) and September 2015, 267 people were killed in incidents of domestic violence. Yet most instances of the stalking behavior that is a precursor to physical injuries and death go unreported. And, unfortunately, what is brought to law enforcement’s attention can fall short of the existing state definition. This is partly because Iowa law, including this needed proposal, refers to stalking as “repeatedly” maintaining a visual or physical proximity to a person without legitimate purpose or “repeatedly” conveying or implying threats. The wording of the law leads some victims to believe that the behavior needs to be present for weeks, months or years before it can be reported as stalking, which is not the case. Iowans experiencing this level of harassment do not need to ignore it or “wait it out” until some arbitrary timeline has passed. In addition, there does not appear to be a mechanism within law enforcement that tracks reports of harassment that cannot be corroborated. For instance, when a person answers a call from a blocked phone number, or throwaway device, from another threatening individual. Reports without necessary evidence do not result in a case file, which can hinder those attempting to establish a history of stalking. In this type of scenario, the victim must create and maintain her own log, with as much detail as possible. Doing so won’t help victims access criminal protective orders, but can be used to obtain temporary civil protections when the perpetrator is known to the victim. The breadth of these roadblocks become clear when its understood that reporting crimes to police reduces the likelihood of future victimization. According to a 2016 University of Iowa study, victims of interpersonal violence — sexual assault, robbery, threatened rap and threatened assault — and property crimes were 22 percent less likely to experience repeat victimization after filing a police report. “We know that the role of police in society is to provide safety, and clearly we see that they are succeeding in this role. However, they cannot be successful without cooperation from the victims and community. That’s why it is important to report the victimizations to police,” says Shabbar I. Ranapurwala, lead author of the study and postdoctoral research scholar at the UI Injury Prevention Research Center. Kinney’s proposed changes, while needed to address GPS tracking devices and mobile phone location hacks, don’t address these issues. Those are the realities, and that’s exactly why expansion of the law is needed. I encourage the General Assembly to push Kinney’s suggestions forward, but not stop there. What Iowans need is a law that fully encompasses and addresses the expanded role technology plays in cases of harassment and cyber stalking, and increased public awareness of these crimes and the need to report them. This column by Lynda Waddington originally published in The Gazette on March 26, 2017.